Foundation drainage systems are typically needed in buildings with subsurface rooms. Structures built below grade are subject to water intrusion especially if storm-water or irrigation water is trapped against the foundation with no means of drainage. 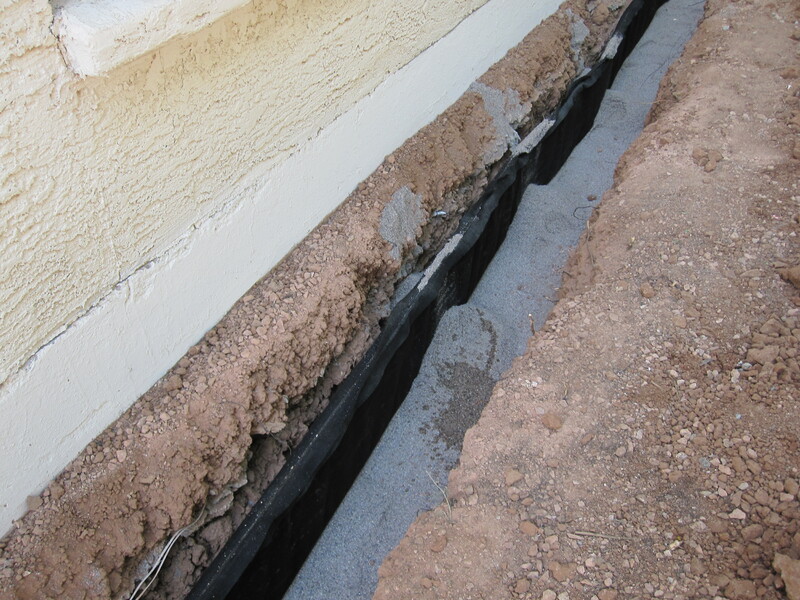 One type of foundation drain is the perforated pipe or often referd to as a french drain. The soil is excavated from the foundation & a perforated drain pipe fitted with a filter sock to prevent dirt from clogging up the holes is installed. The pipe is surrounded by pea gravel on all sides & is piped to daylight. Multi flow is also used as a foundation drain. Here it is installed against a foundation & is surrounded by coarse sand.